General Counsel. Mr. Timmons has served as counsel to small and mid-size businesses throughout his career. In that capacity, he has provided legal advice and representation to numerous individuals, partnerships and corporations, handling a variety of legal issues while emphasizing the importance of an ongoing relationship. For example, in the mid-1990’s he began serving as General Counsel of an area water supply corporation, assisting its acquisition of a privately owned $3.6 million water and sewer utility. He subsequently represented the corporation in proceedings before a state agency during its conversion to a public water district. He later aided in its successful confirmation election under the Texas Water and Election Codes. In 1998 and 2004, he helped the District close on longterm financings through the Texas Water Development Board. He continues to advise and represent the District, handling contract, competitive bidding, employment, regulatory, litigation, election and open meetings issues. Trials and Appeals. 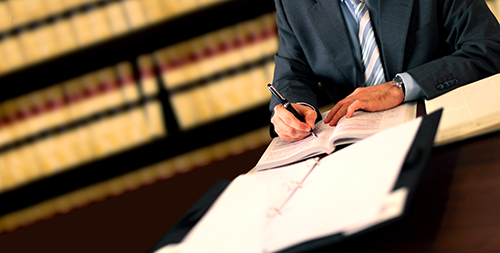 When disputes arise that can only resolved through litigation, Mr. Timmons has the skills and experience to serve as an effective advocate for his clients. He regularly represents clients before the district and county courts of Harris, Montgomery and Fort Bend counties and has done so in numerous other Texas and federal trial and appellate courts as well. In all disputes, his objective is to achieve the client’s goals as quickly as possible through a combination of effective representation and moving the process to a prompt and successful resolution. Mediation and Arbitration. A trained mediator since 1996, Mr. Timmons has represented clients in numerous mediations covering a broad range of legal issues. He also serves as a mediator, either by appointment or the agreement of disputing parties. He has taken advanced courses in arbitration and is a member of the Construction and Commercial Panels of the American Arbitration Association (“AAA”). Through AAA, he has served as a sole arbitrator or an arbitration panel member in approximately 100 cases involving commercial or construction disputes. In several cases, he was named chairman of a three-member panel, performing the additional duties required of the chair. He has also served as a hearing examiner for the Texas Education Agency, conducting the equivalent of civil non-jury trials under the Texas Rules of Evidence and the Texas Education Code.